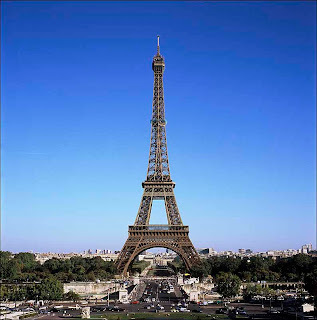 Eiffel Tower –The pride of Paris. Towering as the face of Paris beside River Seine this steel structure still remains as the magnet which attracts maximum number of visitors for years. The idea of such a tower with a so far unheard height of 324 meters (inclusive of the antennae with 24 meter) was born in the mind of Gustav de Eiffel the architect who designed it for the entrance arch for a world-fare (Exposition Universelle) to be held in Barcelona. To see his baby born! 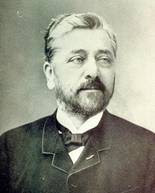 Gustav Eiffel was a dejected man when his design was rejected by the committee and there were few buyers for his work on which he had poured out his heart. Most scoffed it off as ugly and lacking aesthetics! At last the corporation of Paris agreed to its construction on rigid terms ‘the structure is sanctioned only for a period of twenty years after it will be dismantled and the scrap metal will be the corporation’s property. Poor Eiffel had to agree as he was eager to see his baby born. The work of this tower with 300.65 meters in height (excluding antennae) and a weight of 7300 tons started in 1887. Metal pieces were cast in special ‘puddle iron’ (special quality pure wrought iron) 300 workers were engaged in assembling 18038 of them. More than 2.5 million were the number of rivets to be fixed. Extra safety arrangements were to be provided to the workers as unlike a floored structure this tower offered no safety nets. Yet there were one casualty as one worker who died due to fall. There were protests against this ‘towering inferno’ it was a real test of patience on the part of this acclaimed architect to be tried by laymen, they were teaching Eiffel about architecture! Somehow the tower could be completed in 31st March, 1889. Then it became the tallest structure in the world replacing Washington Monument to number two in height. Eiffel remained number one until 1930 when the Chrysler building of New York was built with a height of 319 meters. This tower that has celebrated its centenary in has met with many crises in this long period 1940 – 1944 was marked by German occupation they used this tower as their communication centre; mainly exchanging news about wounded soldiers etc. 1902 saw a massive lightening that struck this tower causing extensive damages, this has necessitated the replacements of about hundred meters length along with all costly electrical equipments. Eiffel as a magnet for attracting tourists and thereby having a money-spinner status, all arrangements have been made to make conveniences for the tourists (of course making some money in that way). There is a 230 * 230 meters temp controlled scuba diving pool with facility arranged for beginners located near the north pillar of the tower. There are yet another attractions like underwater picture gallery for those who have the spirit to venture (this facility is denied for children and un-escorted minors). The Eiffel Tower is open to visitors round the year from 9.30 AM till midnight, security check up is a bit tight (large baggage or animals not allowed inside) on the grounds of growing insurgency and terror threats. Visitors can either climb stairs or use elevators. First elevator allowed only up to 2nd floor (115 meter height), and visitors have to catch the next. The whole building is equipped with handicapped friendly arrangements. The first floor which is largest in area offers large collection of exhibits, there is good dining places as well as shopping facilities. 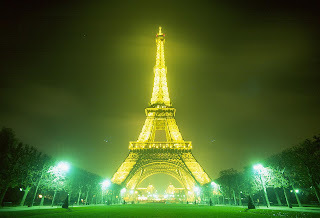 The perfect floor to view Paris from here visitors can take elevator to the top or din in restaurants with exquisite food, go shopping on souvenirs and fancy item gift packing is available. Animated window scenes for visitors to understand the history of the structure the technologies utilized for its upkeep for the last century etc. visitors can simply scroll with a feeling that they are on the top of the world! Can be reached by the help of escalator it has two floors; out-door and the indoor. The very escalator ride is enough to give the visitor the massive nature of the construction and reaching at the top the city of Paris can be viewed from here as if from an aircraft in 360 degrees. The engineer’s office is the masterpiece where Gustav Eiffel along with his daughter Claire and American inventor Thomas Edison sitting in life-size! From a white elephant to a money spinner. Visitors to this tower has exceeded two billion and still counting! The authorities walk all the way to the banks, no one dares to talk of scrapping it anymore, not just it makes money but it has been come to the status of a world monument and Parisians just love to have it as their own; and may not spare anyone who suggest of scrapping it! The sixty tons of paint required to coat it is no more a waste. 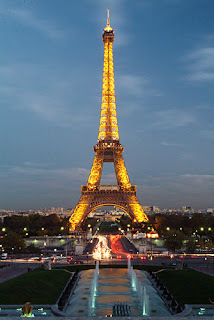 Let Eiffel Tower rise to greater heights day by day! wow! thats a good blog. i see your visit in my blog and I must said: Thanks for your comment. Your blog is very interesting and complete. Go on!.